Generator manufacturer JCB Power Products has won its biggest export order of the year with a multi-million pound deal in the Middle East. 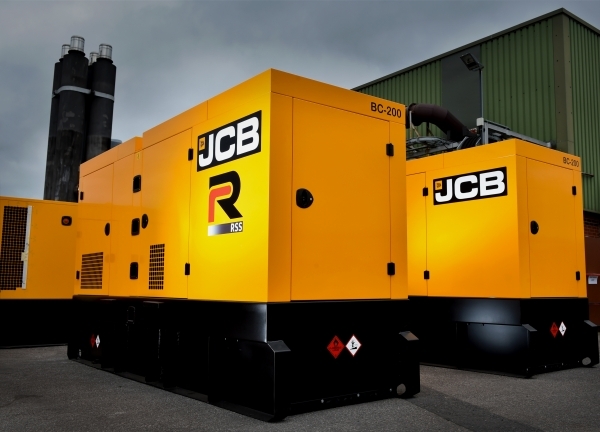 Dubai-based Rental Solutions & Services (RSS) has bought more than 300 JCB generators in a deal worth £9 million. The order is the biggest yet for JCB’s newly-launched range of RS generators specifically designed and manufactured in the UK for the global rental sector. The first five units have already been pressed into service in Oman supported by JCB dealer Muscat Overseas Group. They are being used by a global oil and gas company which needed urgent standby power to support their operations. The British-built generators will span from the smaller 60kVA outputs to the maximum 500kVA – enough to power 15,000 homes. They all feature JCB’s market-leading LiveLink for Power telematics system, allowing customers to actively manage fleet utilisation, service scheduling and remotely diagnose faults and installation issues. The generators will be used across the Middle East including Oman, United Arab Emirates (UAE), Saudi Arabia, Bahrain and Qatar. They will be will be supported by JCB’s extensive network of dealers in the Middle East.